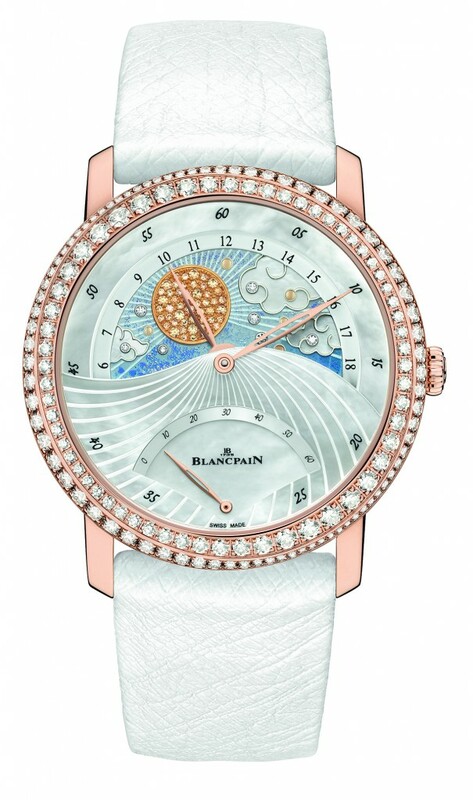 Earlier this year, Blancpain introduced Jour Nuit, a new timepiece with a feminine touch, into its Women Collection. 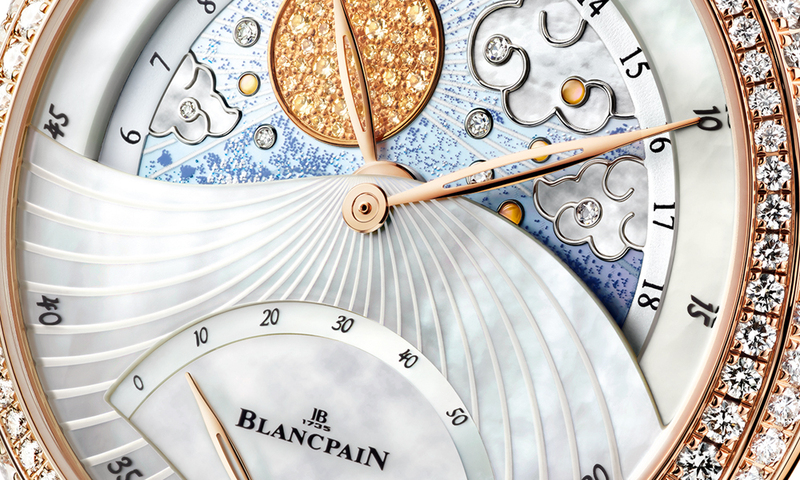 The 40 mm diameter timepiece features a double stepped case with rounded shoulders and is complemented by a bezel that is inlaid with a total of 140 diamonds in a spiral shaped pattern. 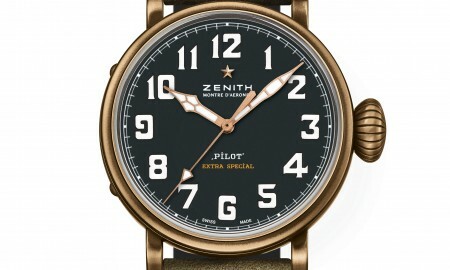 It is produced using 18-carat red gold. 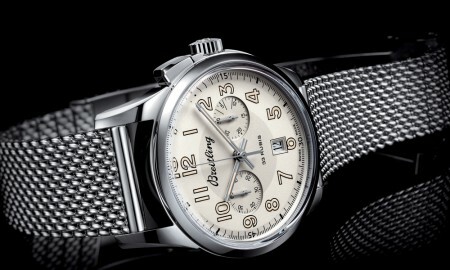 It houses a new movement, created especially for the Women Collection that is based upon the caliber 1150. 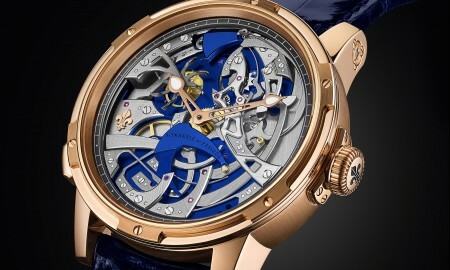 It consists of 372 components and contains 47 rubies and features Day Night, retrograde hour and small seconds functions. The Jour Nuit’s dial is fashioned from a mother-of-pearl dial and is divided into three parts on four levels, to create the impression of depth within the piece. This includes the moon, which has been created from 50 diamonds and the sun, which has been fashioned from 50 yellow sapphires. Additionally, several yellow coloured mother of pearl dots as well as 14 diamonds represent the stars. The Day Night disk of the Jour Nuit turns twice per day, with each rotational change taking place over approximately four minutes. 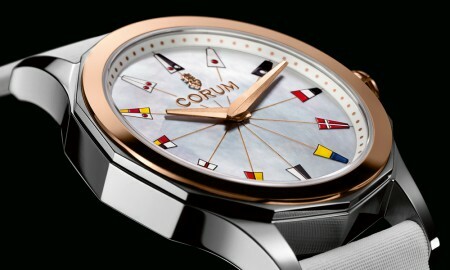 The Jour Nuit is supplied with a white ostrich strap and is water resistant up to a pressure of 3 bar (20 m / 66 ft). It will be released in a limited amount.